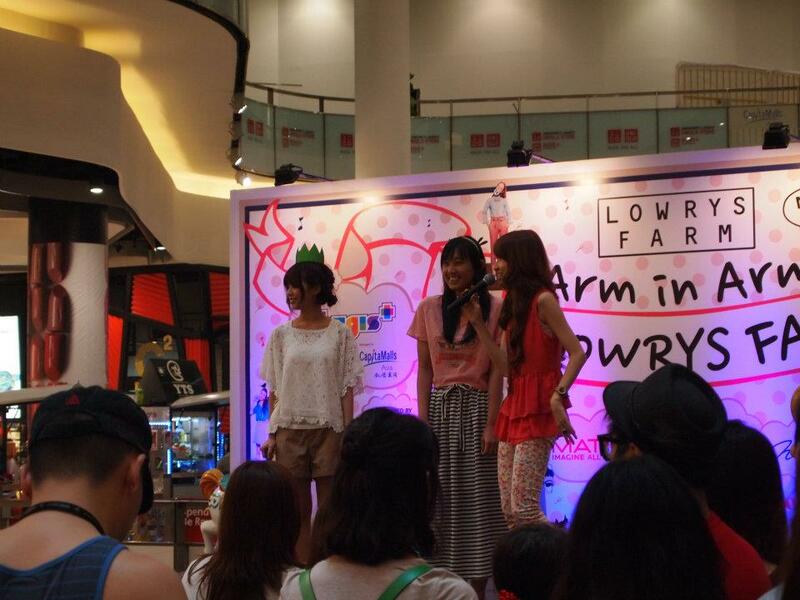 Kellykonomi.com ♪　Let's be pretty together: [event] Lowrys Farm X Heather fashion show! not long ago, i've announced on my blog that i'm invited to a fun and exciting event by POINT again? first of all, i would like to thank all the girls (and guys) who have came down to support me!! i'm really very touched that you all actually came all the way down to support the event and ME! we head back to the fitting room to do our hair and makeup~! coincidental enough, my hair was done by SO who did my hair the other time too! and yes, he is the master of the previous kawaii hairstyle~! remember to tell him that you've read my blog and you loved the hairstyles he has done! are you excited to see what hairstyle he did for me that day? but i love the makeup too!! so after we are all dolled up, we have to get ready for the *panic* fashion runway! love her hair~! so pretty! that explains my spastic expression! 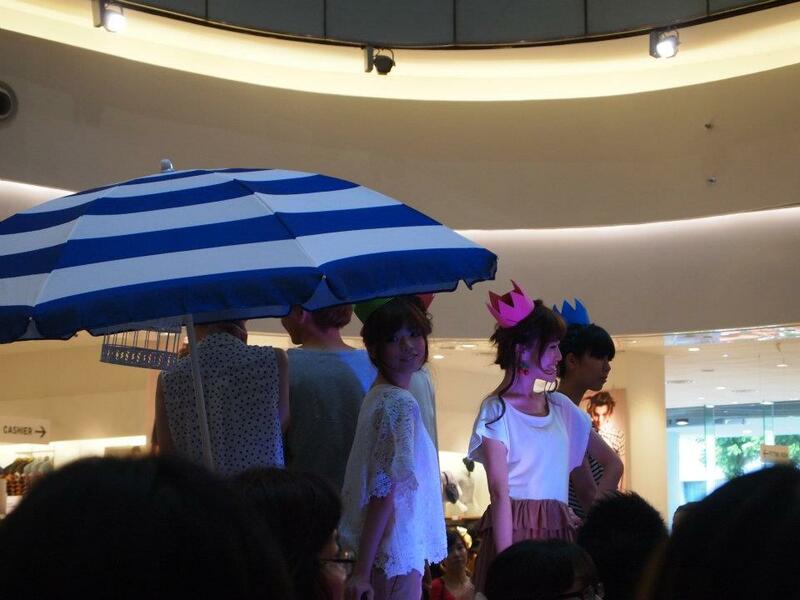 and let's start the fashion walk~! waiting for our turn to parade down..
finally~! walking to the last stage~! photo taken by my lovely brenda~! there's hairstyling teaching session by all the hairstylists!! i want to learn from so!! i want to learn from them!! the hair styles are soooo cute!! 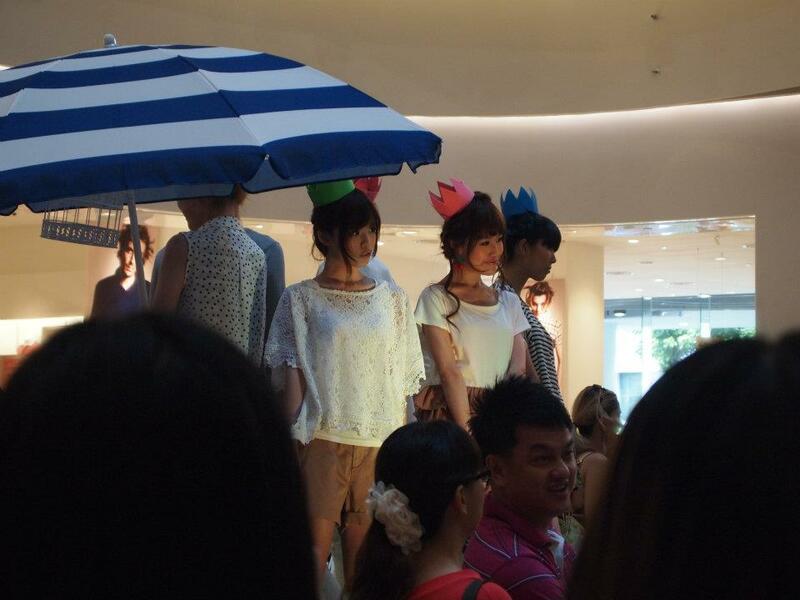 so.. the star bloggers of the event ( *shy* jacq, janette and me) styled a girl each! there's many other beautiful clothes that i love too!! take a look at their kawaii collection~! best of all, they are having SALE (really affordable!!) now at BUGIS+ and ISETAN~! bought a top, after discount it's only 20+!! some of the photos that my boyfriend took!! who came down as well~! but my camera was not with me!! 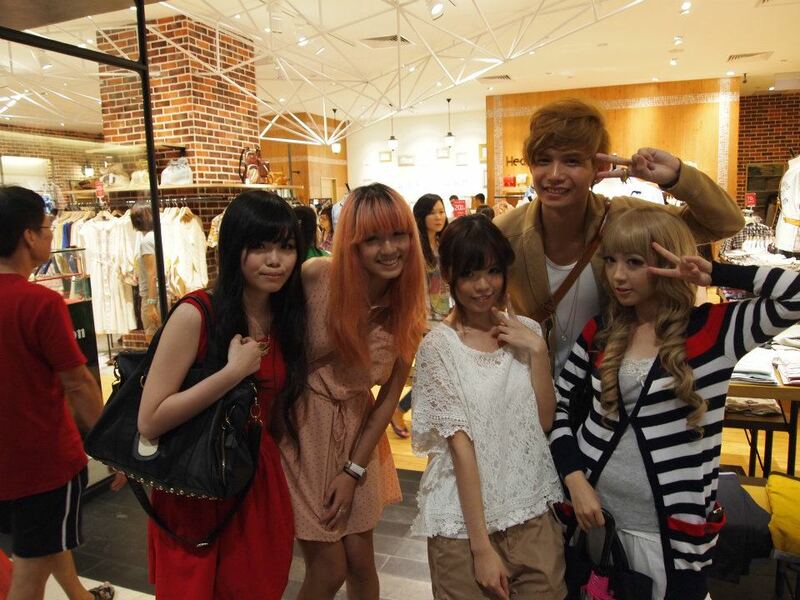 after that we went for AFTER DINNER with the bosses, lovely stylist FUMI-san and the kind staffs! it's really a fun and exciting day for me!! hope you see you guys there!! remember to head down to lowrys farm @ BUGIS+ to enjoy the great sale!! Hi Kelly! Just asking, did you wear double eyelid tape for this event?